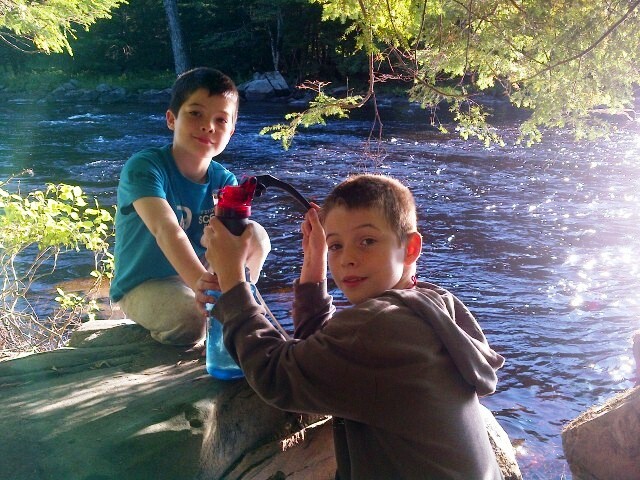 This entry was posted in Family, General and tagged Camping, canoeing, Children, Family, hiking, Kejimkujik National Park, kids, Parenting, travel. Bookmark the permalink. I loved camping when I was a kid, I hope to do that with whatever child I somehow spawn in the distant future. I say it as if one day I’ll be like “It’s time” and then throw one of those magic smoke bombs and out pops a child. But honestly if they don’t end up liking it I’ll be fine, I just hope they enjoy reading or writing. They both helped me in so many ways and shaped me into the person I am toda…well maybe forget the reading and writing XD. Very cool! I hope they have a great time. I’m not a backpacker, and my older kids ended up being more city kids, but my younger boys are very interested in doing this with their dad.